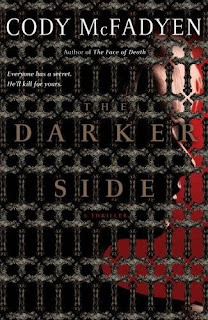 The Darker Side is different than the usual novel I read. 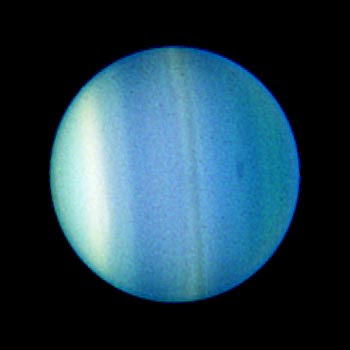 It is a serial killer-novel—a genre that I jump into only occasionally—that focuses heavily on atmosphere and a dark philosophical interrogation of humanity and its vices. Smoky Barrett is an FBI manhunter who has a very personal experience with death. Her family was killed as she helplessly watched. The experience scarred her, both physically and emotionally. This closeness with death, murder and loss is the reason Smoky is chosen to investigate the murder of a transsexual. The victim is the child of a powerful senator; a senator who comes from a socially conservative state and could lose everything if the investigation turns out wrong. The victim was murdered on a commercial airliner. No one witnessed it, or even knew it happened until a flight attendant tried to wake her after the jetliner landed. It doesn’t take long for Smoky to realize it is the work of a serial-killer, and she and her team try to walk the tightrope between political pressure, real-world agonies, and the job at hand. I have mixed feelings about The Darker Side. The atmosphere is rich and dark—it (the atmosphere) reminded me of the Chris Carter television series “Millennium”—but the crime seemed forced and, at times, unbelievable. It, at times, felt like a locked-door mystery for the “CSI” generation. The description, at times, is overwhelming. The author uses multiple pages to introduce Smoky’s team, and there is a scene towards the beginning of the novel where a major players reveals he is gay that is overly traumatic and downright unbelievable. But as the story unraveled I found that the excesses bothered me less and less, and that I liked Smoky Barrett more and more. The Darker Side's true power is its ideas—guilt, sin, absolution and redemption. And in the end it is the ideas, the atmosphere, and the protagonist that carry the novel to its conclusion. I stumbled across a trailer for an upcoming independent film titled Dark Streets. It is based on a play by Glenn M. Stewart. It looks pretty good. A little too much like Chicago, but one can always hope it is better. It was written by Wallace King and directed by Rachel Samuels. 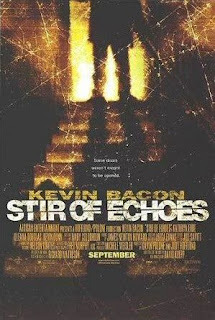 It is scheduled for a limited release December 2005. It might be one worth checking out. Chaz Davenport is a dashing bachelor who owns what promises to become the hottest new nightclub in town--if only the lights would stay on. Surrounded by the sumptuous blues music he adores, and with his pick of the gorgeous women who perform their sensual dance numbers onstage every night, Chaz is the envy of every man. But with the city thrown into darkness by frequent blackouts and a menacing loan shark closing in, Chaz is in danger of losing the club--and far more. At the same time, he finds himself embroiled in a love triangle with the club's alluring star singer, Crystal, and a new arrival at the club--the mysterious and seductive chanteuse Madelaine. When people close to Chaz begin turning up dead, he doesn't know where to turn or whom to trust. And the harder he tries to uncover the truth, the further he's drawn into the darkness of lies and betrayal--a darkness as black as the city's streets during yet another power outage. Welcome to the Blues. Toland is a convict. He is in the fourth year of a ride for armed robbery. The first few months in the joint he was a trouble-maker, but over the last few years he has settled into a routine. He even earned a job in the welding-shop. That is where he is—the welding-shop—when he is summoned to the warden’s office. When he arrives the warden is unusually cordial and the detective who put him away is quietly sitting in the corner. It doesn’t take a genius to figure something is up. 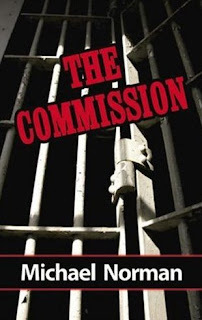 He is nervous until the warden tells him another criminal took responsibility for the job he was convicted. And then he knows what’s up: He is free. And Toland knows exactly what he is going to do on the outside. 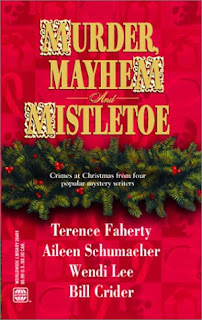 The tension and suspense are ratcheted tighter from paragraph to paragraph, and the mystery is compelling and surprising. When I figured I had the ending nailed Mr. Marlowe pulled the rug out. “The Short and Simple Annals” is a gem of a hardboiled story. It is an unusual take on the revenge story, and it is a reminder that it is the things we forget that put us in a jam. And it is very much worth seeking out. “The Short and Simple Annals” was originally published in 1964. I read it in Alfred Hitchcock’s Noose Report published in 1966 by Dell. A great feature has been unveiled over at Google; "millions" of photographs from the LIFE archives are online and very viewable. It's really cool. Another distraction to keep me from my work. 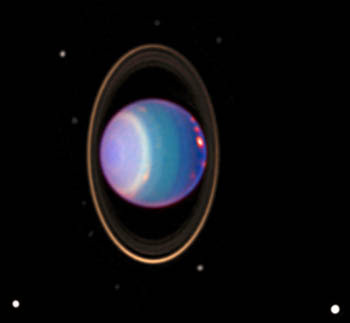 And the photos...very cool. 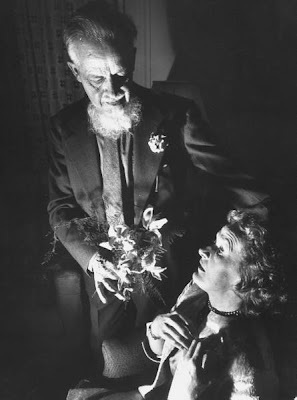 A great photograph I plundered of mystery legend Rex Stout. Is that an orchid? The other evening I was reading when I stumbled across a new word: Robotnik. It is Russian for worker, and the name of a Moscow club in the novel I was reading. My steel-trap mind immediately connected the word to robot. A word that I have always associated with Isaac Asimov; and again, I thought, that makes sense. Asimov was born in Russia and immigrated to the United States as a child. Well I did a little research and I discovered that I was in error about Asimov’s creation of the word robot, as far as its use as a term to describe a mechanical man. He did use the base to coin the term robotics, but robot was actually first used in the play RUR written by Karel Capek. I can almost hear you groan, what’s the difference. Well, according to Dictionary.com quite a bit and not much, all at the same time. 3. any machine or mechanical device that operates automatically with humanlike skill. 4. operating automatically: a robot train operating between airline terminals. the use of computer-controlled robots to perform manual tasks, esp. on an assembly line. The major difference is the human creation of the functioning machine. Robotics stresses the idea of computer-control and human servitude; humans program, design, study and create in robotics. While a robot is something that is machine-like and not necessarily created by humanity. It can actually be used to describe a person and therefore it is not under the control or supervision of humanity, but rather something slightly less than human but very much more than a machine; something to fear. The idea of robot is given a sinister cast when its root word robotnik is defined. Robotnik is a Czech word related to robota; which means compulsory labor. And robotnik is the peasant or serf who owes that said labor. The life of a robot is quite dreary based on the words used to describe and explain it. It’s also something to fear. The Czar discovered that in a rush some 90 years ago. John Stark is an aging Texas rancher. He is a veteran of Vietnam and a man who is concerned about the illegal drug trafficking across the US-Mexican border. 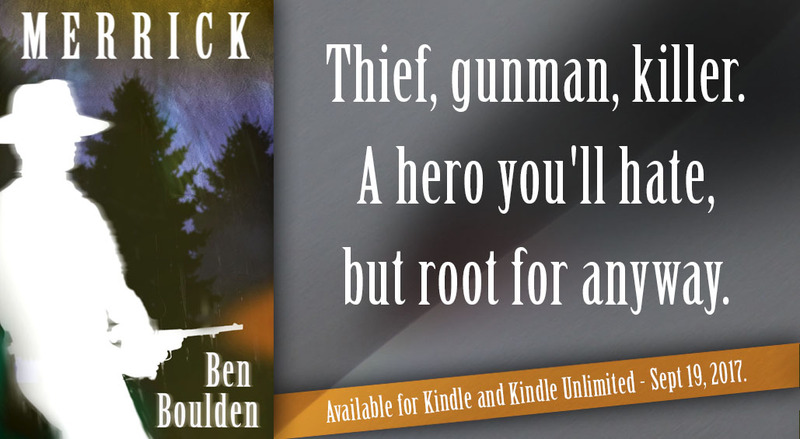 His concern escalates to outright war against the traffickers when his friend and fellow rancher is brutally tortured and murdered by a Mexican drug cartel. His crusade takes him across the border to a wild strip-club where he finds a few of the men responsible for the murder and then his war quickly finds him. 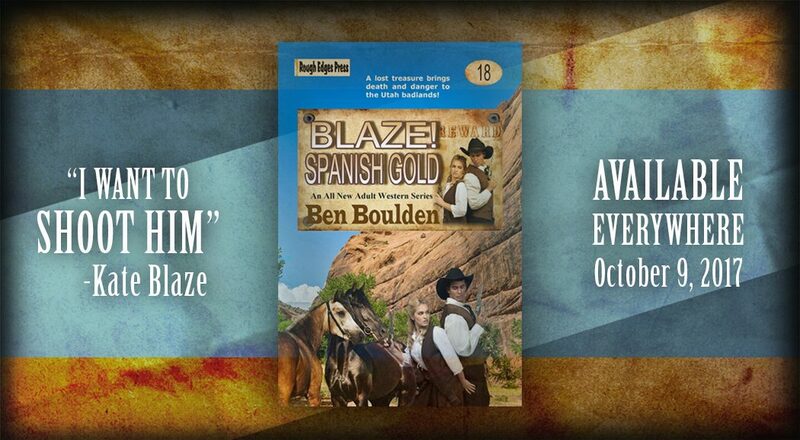 He enlists the help of a his neighbors and hunkers down to face everything the Mexican gang has to throw at him—and it includes hired guns, crooked cops, and a government that is less than pleased with his fight. The plot is interesting and well executed. Its major weakness is the abundance of over-the-top political overtures—the sum of the United States’ (and the world’s) problems can be blamed on a cabal of liberal Senators. An argument that even in the subtext of the novel felt tired and paranoid, but if you can get past that Vengeance is Mine is really a pretty damn good novel. A NOTE. As a teenager I loved the idea of Johnstone’s novels; particularly his adventure stuff. It was always populated with angry survivalists who had the foresight and courage to see the coming disaster and survive it, but while the plots intrigued me the execution and style always left me disappointed and wanting. I must have started ten or more of his novels before I completely gave up on his work. When I heard the novels under his byline were being written by other writers I was intrigued. These “collaborations” seemed to be an ideal solution to the Johnstone problem—all promise and no delivery—and some of them might even be pretty good. 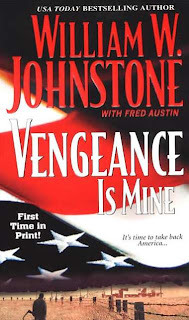 Vengeance is Mine is certainly cast from the Johnstone formula: the lone man as both outcast and savior of society mixed with a bevy of right-wing propaganda. The difference: It delivered. The quality of the writing was significantly better, the tone and style was more lucid and interesting, as was the execution of the plot. The point? Besides abusing a dead man? Vengeance is Mine is worth taking a look at. It will appeal to fans of the original writer as well as new readers who avoided Johnstone's writing, or were never introduced to it. I know I plan to read another one. When I re-read this review I was struck that I was a little harder on Mr. Johnstone's work than I intended to be. I didn't mean to question his talent or the product he produced other than to say that, subjectively, I was generally a little disappointed in it. One of the reasons is that I read one of his novels in the early-1990s and absolutely loved it; its title What the Heart Knows. It was a beautifully written love story very much like The Bridges of Madison County. A type of story that I don't generally read, but Johnstone's take on the "love-lost" story was compelling and interesting and I have judged the rest of his work based on this novel. Something that is probably unfair to both the writer and his work. It’s been awhile since I’ve found a good book trailer; probably more that I haven’t been looking all that hard and less that there aren’t any out there. I’ve been eyeing Stephen King’s latest paperback the last few days and I found a book trailer for it over at YouTube. It looks great. Now I just need to read the book. Carver is a partner in a two-man private investigation firm. He is alone in the office when a new client walks in the door. She wants Carver to find her husband, a man who is missing, sort of. A fact the woman is hesitant to reveal and it takes some patient and fancy interrogation work for Carver to get at exactly what she wants. "Some women just looked like trouble. This one didn't, which should have been the first clue." 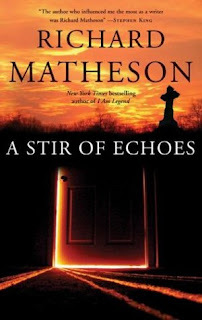 Mr Maleeny takes the built-in expectations of the genre and cleverly, as hinted at in the opening paragraph, twists a story that surprises and satisfies the reader simply because it builds and breaks the stereo-types. He takes the expected and turns it against the reader. "Hardboiled" is short--three digest-sized pages--and very fun. I didn't guess the climax until the author wanted me to and when it ended I had a smile on my face. This is my first exposure to Tim Maleeny's work, but it won't be the last. He is the author of three novels: Stealing the Dragon, Beating the Babushka, and the forthcoming Greasing the Pinata. 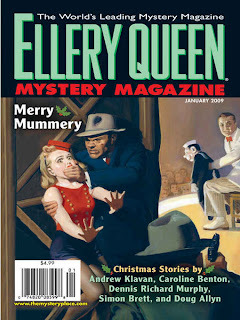 "Hardboiled" is in the most recent issue of Ellery Queen Mystery Magazine; January 2009. 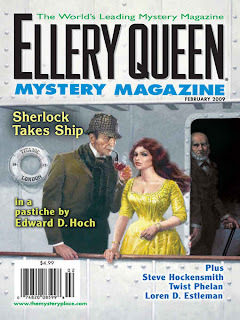 EQMM is the premier magazine of short mystery fiction and this issue is a good example of why. 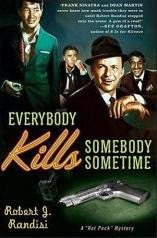 It contains stories that run the gamut between classical whodunit-style mystery to hardboiled American. 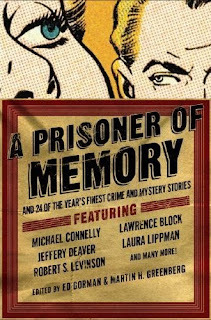 It contains original stories by Andrew Klavan, Simon Brett, Doug Allyn, Robert Barnard, Gary Cahill among others, and a reprint by Edward D. Hoch. If you haven't read EQMM you should, and this issue would be a great place to start. It doesn't hurt that the cover art is wonderful. 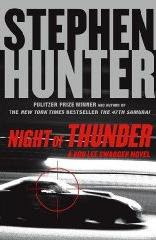 Night of Thunder is the fifth novel to feature Vietnam sniper Bob Lee Swagger. 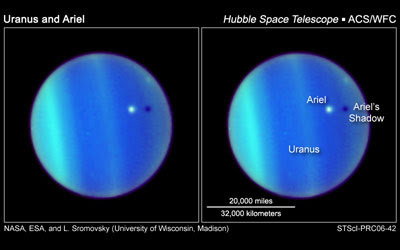 The first three—Point of Impact, Black Light and Time to Hunt—were published in the mid- to late-1990s. The series was seemingly over when last year saw the release of a film—Shooter—based on Point of Impact and a new novel The 47th Samurai, which sent an aging Bob Lee to Japan on an errand of honor for his long deceased father. The two recent titles are a departure in style from Swagger’s roots. The novels are shorter and a have cartoonish literary flair; the prose is hipper, and the plots are looser and much larger than life. 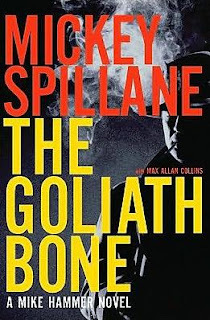 The style of the early novels was very much in the mold of the 1980s Tom Clancy-style thriller; long, vast amounts of technical information, a wide stage, and an unhurried pace. 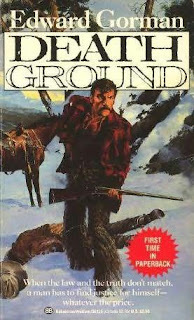 It should be noted that Hunter’s work has always featured strong action and solid pacing, something many of Clancy’s novels, particularly his later work, did not showcase. I favor the three earlier novels in the Swagger saga, but that’s not to say Night of Thunder or The 47th Samurai aren’t enjoyable, because both are entertaining modern thrillers. Nikki Swagger, Bob Lee’s daughter, is a police reporter for the Bristol Courier-Herald. It is her first job out of college and she is hot on the trail of a story about the rampant methamphetamine trade when late one evening she is knocked off the road in a hit and run. When Bob is notified of the accident his daughter is in a coma and the doctors are uncertain when Nikki will come out of it. Bob Lee is concerned not only for the life of his daughter, but for the rest of his family as well. It could be what it’s reported, a simple hit and run, or it could be payback from his past. When he arrives in Bristol Bob hires the Pinkertons to protect his daughter and then starts his own one-man investigation. He traverses the city—in the throes of a major NASCAR event—and the backwoods to discover what happened to his daughter. He confronts a publicity-seeking Sheriff, a cult-like religious crime family, a NASCAR race team, and bunches of rednecks in his search. He also expends a few rounds of ammunition and gets in more than one fight. The plot is swiftly executed with a sure hand. There are no loose-ends, but there are a few plot twists that rely too heavily on coincidence and at least one that was incredulous; a problem with many modern thrillers. I guessed the major twist less than halfway through the novel, but the writing and action was strong enough to keep the story interesting and fresh. Night of Thunder is not one of Stephen Hunter’s best, but it isn’t bad either. 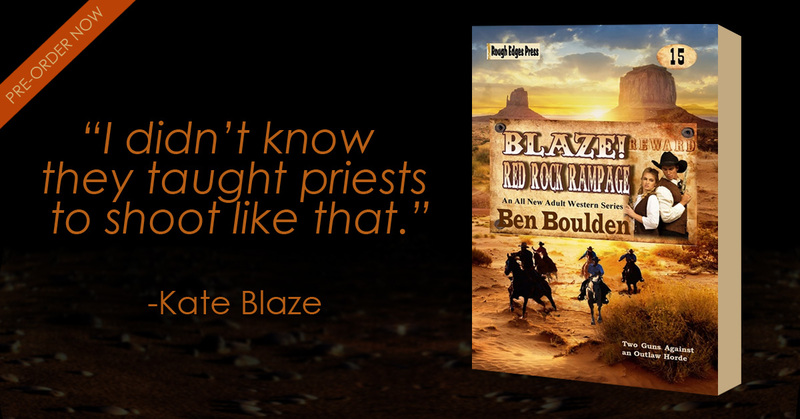 If you enjoy a wild and bigger-than-life thriller that flies straight, hard, and fast with a hero that can hold his own in a fight—a throw back to the old West gunfighter, really—you will want to read this one. I learned last night that Michael Crichton died from complications of cancer. Crichton was one of a handful of writers that I read voraciously as a teenager. 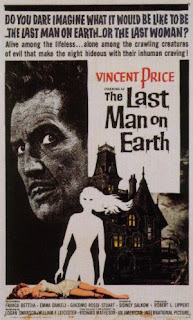 His later work tended to straddle the line between science fiction and thriller. His earlier work was made of slim 1970s-style thrillers, two of which have been re-published by Hard Case Crime over the past few years. I read everything Crichton published up through the mid-1990s. I would anxiously mark the calendar when one of his novels would be published; I would mark it about a year later when the mass market paperback would be released because I could never afford the hardcover. Jurrasic Park was a big novel that carried punch and I remember being mesmerized by the world Mr Crichton created. I carried it everywhere hoping I would get time to read a page or two. My favorites of his novels are Grave Descend and The Great Train Robbery, with Binary as a close third for one simple reason. 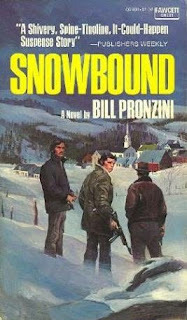 It is the first novel I read with a scene in Utah. It was a short scene on a train leaving the Dugway Proving Grounds in the desert just west of Salt Lake City. I loved it. Mr Crichton and his work will be missed. Here is an interview Mr Crichton did with Charlie Rose. It is long clocking in at 57 minutes, but it reveals Mr Crichton as intelligent—if his work isn’t indication enough—and interesting. I'm feeling a little shaky this morning; too much work, too much coffee, and not nearly enough sleep or peace. A few weeks ago my wife and I went out on the West Desert; a place that has a certain magnificent desolation. It is nothing like the bad lands in Southern Utah, but it is nonetheless a place we visit often in the cooler months to escape the city, people, and even our own existence for a few hours. So this morning I went through a few photographs of the trip and found this one of a small spring in Skull Valley called Horseshoe Springs. I thought it was especially peaceful and relaxing. I think I could look into this window on a different place for hours. I can almost see the trout lurking in the shadows, jumping at bugs, and the feel of the autumn sun gently warm against my face.